Russian-terrorist forces have taken complete control of the town and the railway junction station of Debaltseve, thus presently creating a kind of “military commandant’s office” in the city. In the direction of Artemivsk (Svetlodarsk – Luhanske), radical enemy units are trying to move in the direction of Luhanske. Ukrainian units that provide a withdrawal of the Debaltseve Ukrainian troop formations, engage in deterrent combat. Also, the enemy began to evacuate disabled and damaged military equipment from the combat fields in the area of Debaltseve (the equipment is evacuated to Horlivka and Yenakiieve). A tactical group of Russian-terrorist forces from the “Horlivka garrison,” reinforced with a company tactical group (staffed by locals, including a large number of young men between 16 and 17 years of age and senior citizens, which are exceedingly poorly equipped and armed), began moving towards the Artemivsk – Debaltseve road north of Lohvynove. Overall, about 240 insurgents participated in the offensive, divided into four groups with armored vehicles provided (up to 10 tanks and 6 AFVs). Ukrainian artillery periodically strikes these groups. In the area of Novohryhorivka, an “Ural” [cargo truck] carrying local terrorists was blown up on a mine; there are wounded. During the past few days, the enemy has continued to fire at the positions of Ukrainian troops in the vicinity of Pisky, Vodyane, Opytne from mortars and grenade launchers, despite the truce. The village of Mariinka has also been repeatedly shelled with mortars and barrel artillery. All these individuals took part in armed confrontations on the territory of Ukraine on the side of gang formations [that are] part of the so-called “DNR.” The reason for detention is – for disobeying instructions of the “DNR” leadership. An alleged location of the detained terrorists from South Ossetia is an insurgent base in Donetsk. Another echelon with ammunition arrived to the Ilovaysk railway station from Russia. Unloading is underway. Near ​​Makiivka and Horlivka, a radar equipment operation has been observed; they were transferred from Russia along with the service crew from among the military personnel of the Russian Federation. We are talking about a test mode inspection of air defense systems with radar. In addition, a transfer of 2 “Strela-10” SAMs has been recorded in the area of ​​Shakhtarsk. The command of the “DNR troops” issued a “strict order” to smuggle the corpses of dead Russian citizens directly to Rostov-on-Don (Russia), without prior registration of death documents and sorting in local mortuaries. Russian specialists engage in the “classification” of bodies of eliminated terrorists and determine their affiliation (local insurgents or Russian citizens) on the territory controlled by the “DNR” and “LNR.” A certain “commercial entity” engages in delivery of corpses to Russia (in fact – [it is] a special unit of the FSB of Russia). In the seaside direction, the enemy moves reinforcements (up to 100 people and about 7 armored vehicles) to the area north of Novoazovsk. Tactical reserves get moved and the gunfire does not stop near the settlement of Shyrokyne. Russian-terrorist troop armored vehicles and artillery weapons (over 100-mm caliber) that have been allegedly moved away from the demarcation line near Luhansk dividing [both] sides, previously reported on by the IR group, were simply moved back to an insurgent base south of Luhansk. 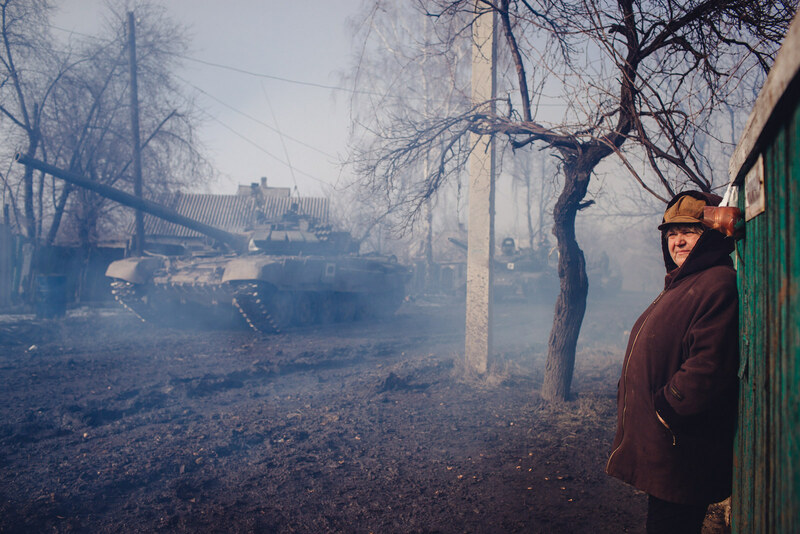 The enemy continues to regroup its manpower and vehicles inside the Pervomaisk-Alchevsk ledge. 11 covered cargo trucks and 5 BBMs have been transferred through Krasnodon towards Perevalsk. 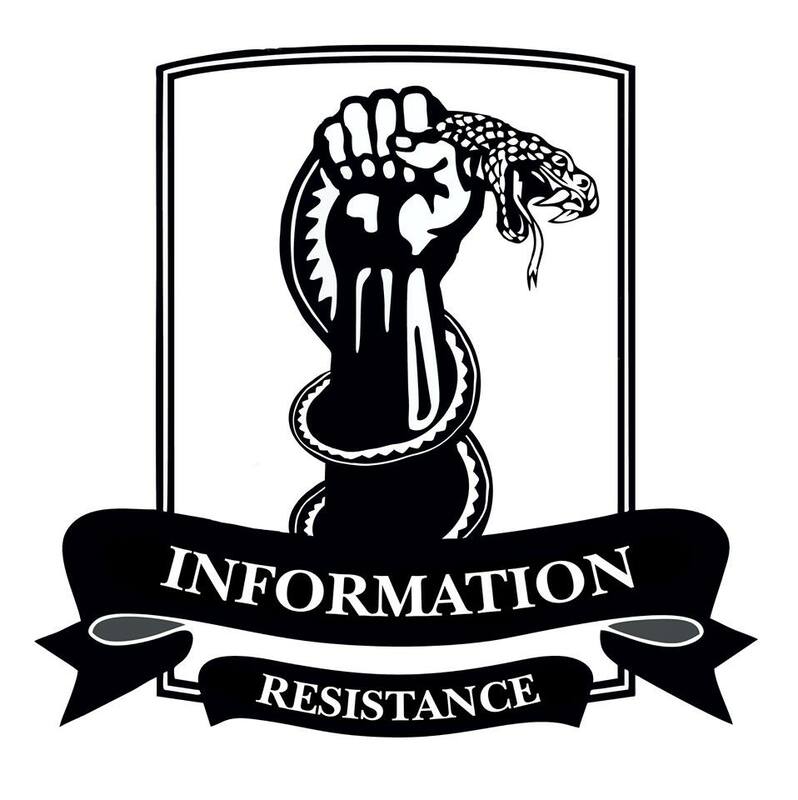 This entry was posted in Dmitry Tymchuk, English, English News, Pictures, South&Eastern Ukraine, War in Donbas and tagged #RussiaInvadedUkraine, #StopRussianAggression, #UkraineUnderAttack, Debaltseve, Dmitry Tymchuk, Information Resistance, Ukraine. Bookmark the permalink. After first Ilovaisk, then Donetsk and now Debaltseve where is the next retreat to be from ?! Ukraine needs a “Fighting General” not military managers. Even if Obama were to give precision weapons to Ukraine they would be next to useless with the kind of generals Ukraine has now. Is there a “Montgomery” in Ukraine?! Azov seem to have the the right approach. Poroshenko does not seem to understand there is a war. War must be won. If there is no will to win the war better to make a deal with Putin now. Merkel and Obama will then be very happy. Reblogged this on To Inform is to Influence.